The next edition of Gallery Nights, the original circuit for art lovers around more than 30 art galleries, museums and cultural centers, will be held on Friday, October 5th, 2018, from 6 pm to 9 pm, in the neighborhoods of Retiro, Barrio Norte and Recoleta. Rubbers, Del Infinito, Hilda Solano, finishing at the After Gallery. Espaio Cabutia (Arenales 1239 PB H ). Visit to: Tango Espacio de Arte, Sr. Mor, Fundación Klemm, Henri´s Gallery and Aldo de Sousa. Hotel Panamericano (Carlos Pellegrini 551). Visit to: Fundación Osde, Casa de Entre Ríos, Cre- Arte, El Mensú, Colegio de Abogados. The night will close with an After Gallery live performance show and DJ Set at 9:00 pm at Espacio Bresson (Av. Callao 1880), sponsored by Stella Artois. The traditional circuit of Gallery Nights covers from Plaza San Martín to Callao and from Tucumán to Av. del Libertador. 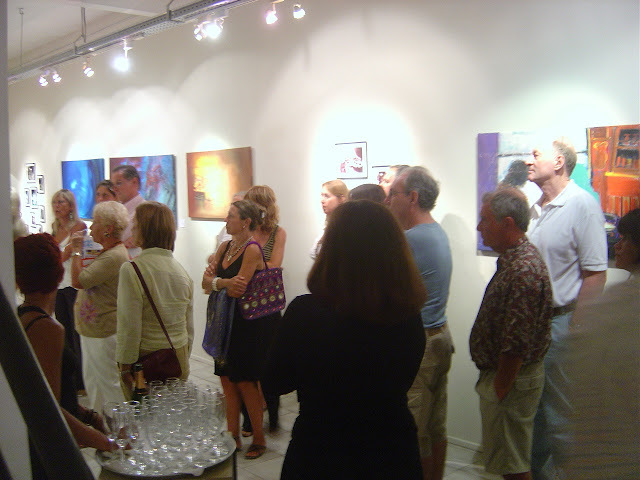 Gallery Nights is organized by the art magazine Arte al Día once a month between April and December each year.